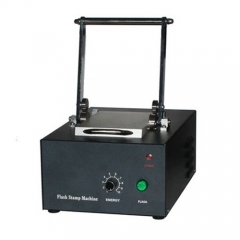 The 3D vacuum heat transfer machine is multifunctional for both flat items and curved items, such as tile, mouse pad, glass, crystal, plate, mug, iPhone cover, iPad cover, etc hard material. 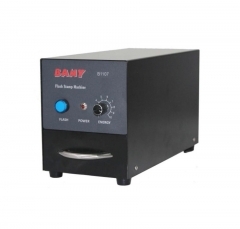 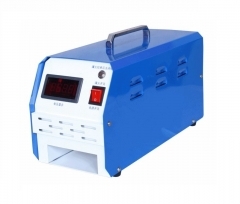 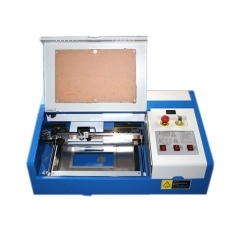 This 3D vacuum heat transfer machine is made of special aluminum and iron material that is high flame-retardant and thermal-insulated. 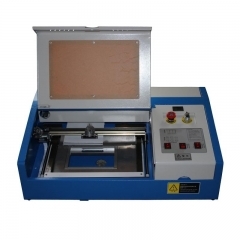 It uses hot rollers with vacuum sucking moulding to transfer items of three-dimensional surface one time with perfect imprint effect. 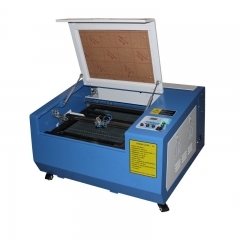 The 3D sublimation heat transfer machine is designed with asperities dots on the surface of working table to enlarge the heating area, and the more dots, the more wonderful transferring image it transfers. 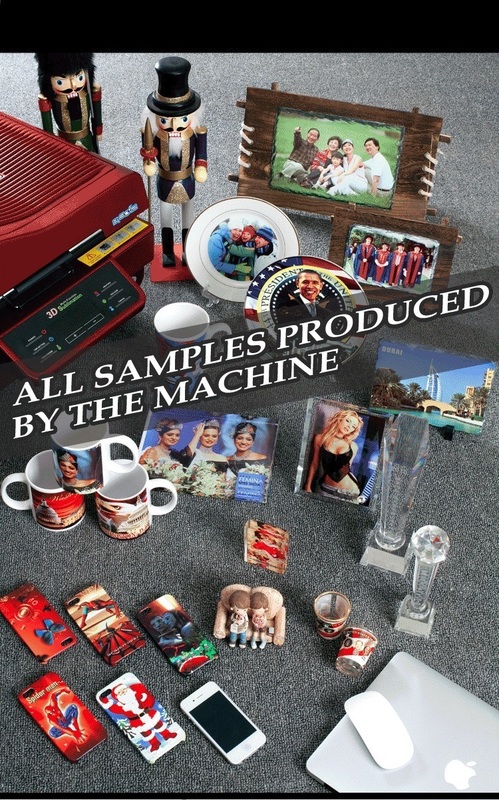 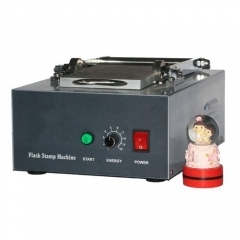 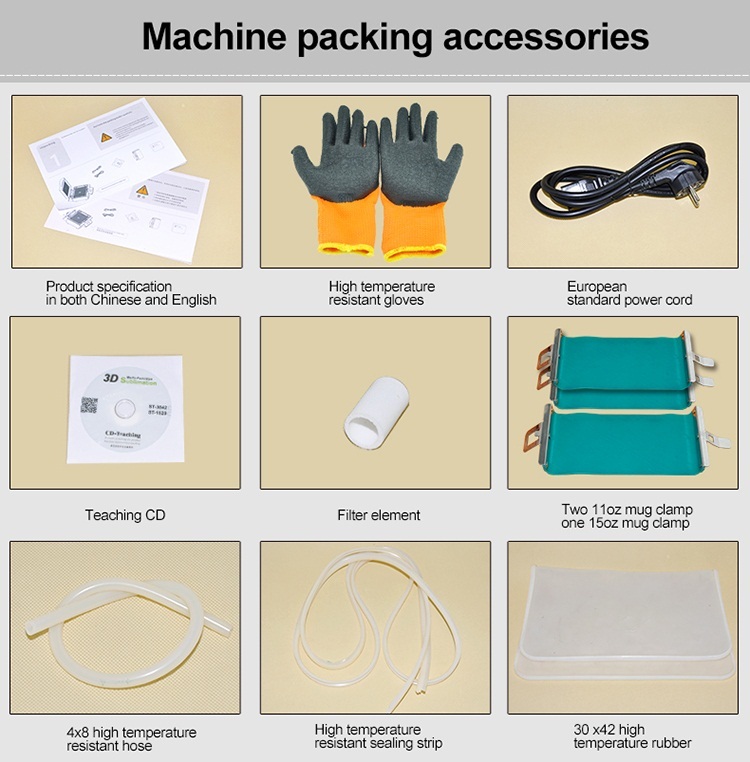 The 3D vacuum heat transfer machine is multifunctional for both flat items and curved items, such as tile, mouse pad, glass, crystal, plate, mug, iPhone cover, iPad cover, etc hard material items. 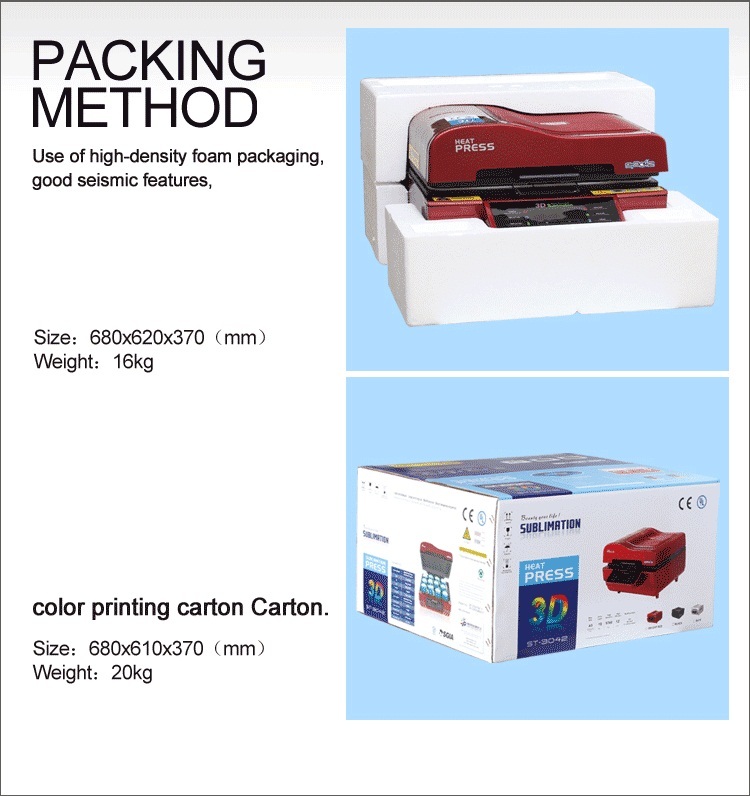 Tips: There are several other molds and clampers in our package. 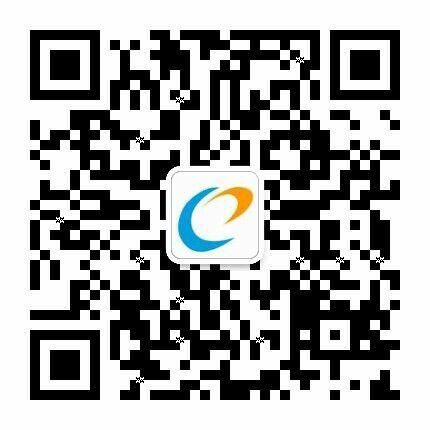 Please inform us if you need. 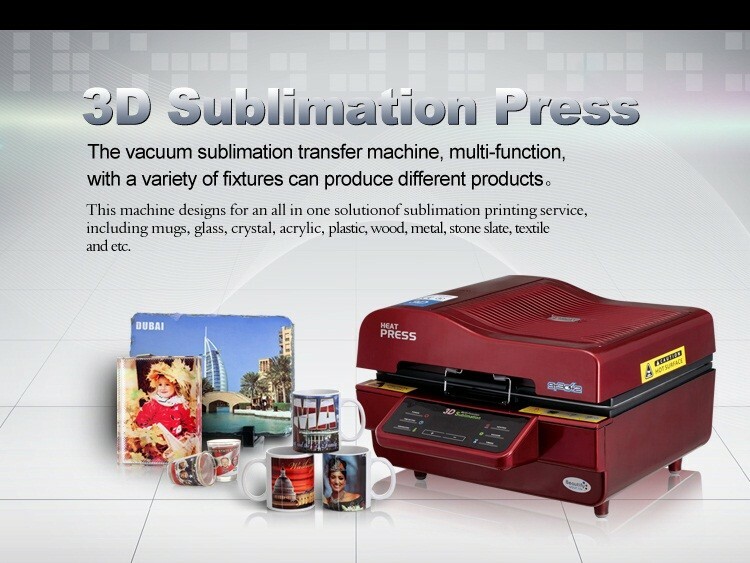 1, 3d vacuum press is based on the newest sublimation technology. 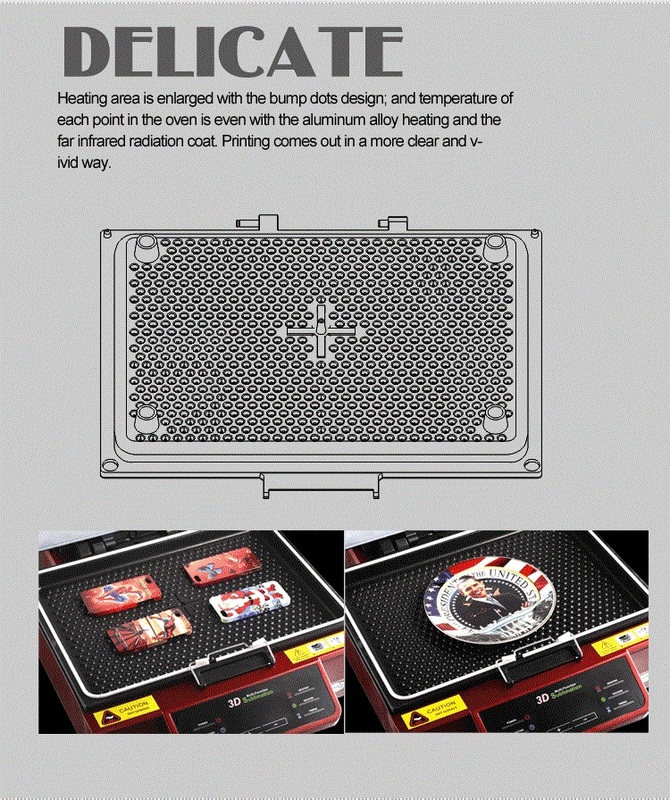 2, It’s made of special aluminum and iron material that is high flame-retardant and thermal-insulated. 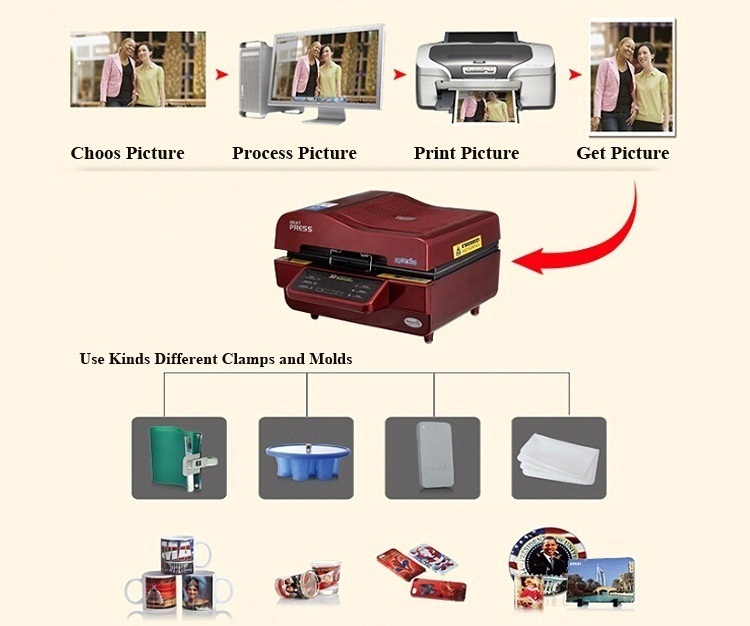 3, It uses hot rollers with vacuum sucking moulding to transfer items of three-dimensional surface one time with perfect imprint effect. 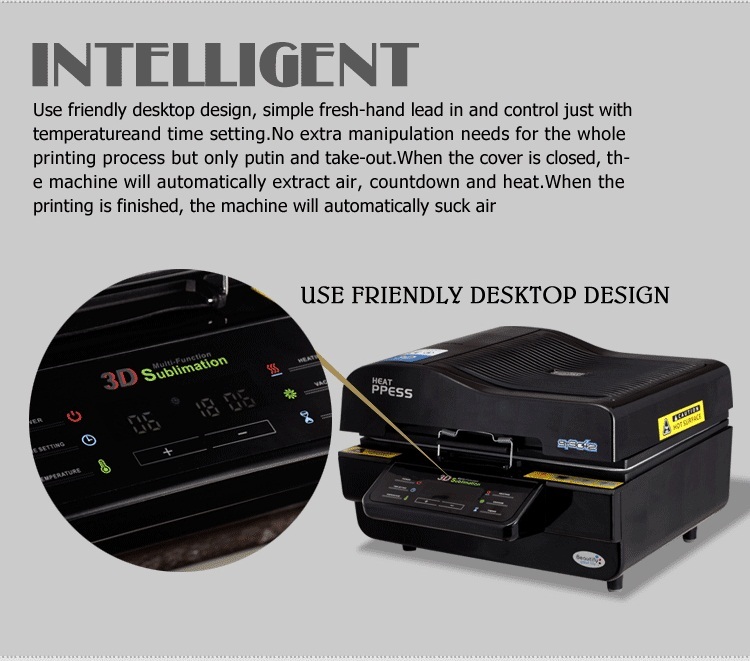 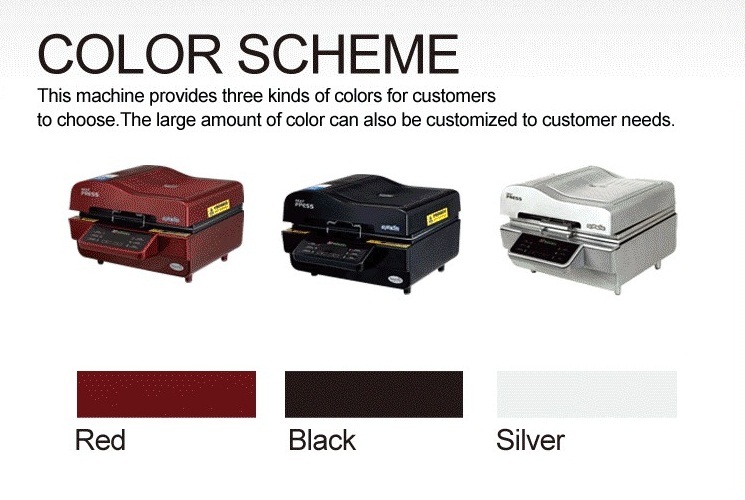 4, It is designed with asperities dots on the surface of working table to enlarge the heating area, and the more dots, the more wonderful transferring image it transfers. 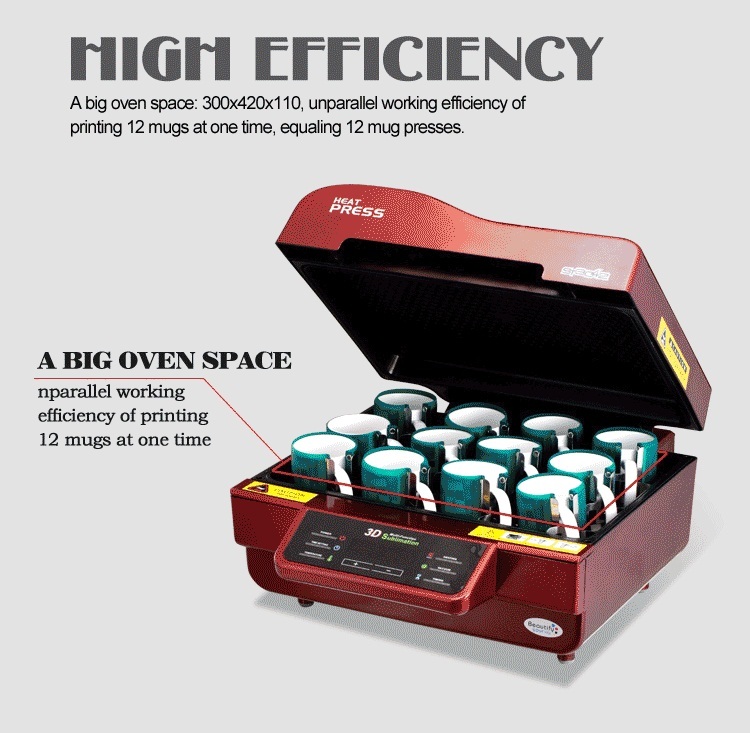 5, High efficient, it can imprint 12 mugs at one time. 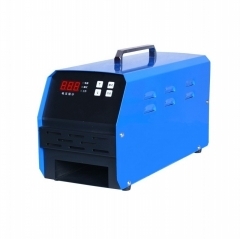 6, Safety, dual temperature control on software and hardware separately and it'll power off within 15 minutes without any operation.